Lace Neckline with Ruffled Organza Trimmings in Black Color. Lace Neckline with Ruffled Organza Trimmings in Ruby Red Color. Gorgeous Embroidered Sleeves in Mustard Resham. 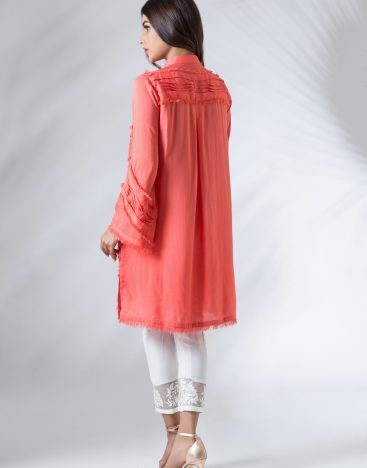 Pleated with Frill Sleeve Shirt. Beautiful Neckline in Turquoise Resham and French Knots in Navy Color. Beautiful Neckline in Turquoise Resham and French Knots in Black Color. 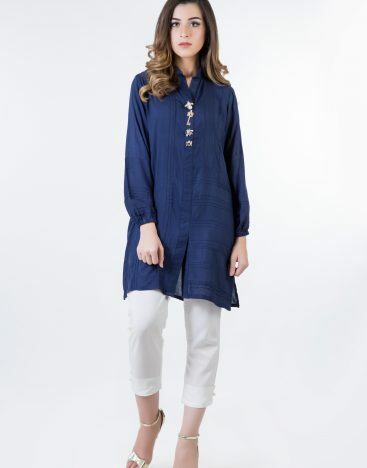 Trendy Tunic in Navy Crepe with Balloon Studded Sleeves. 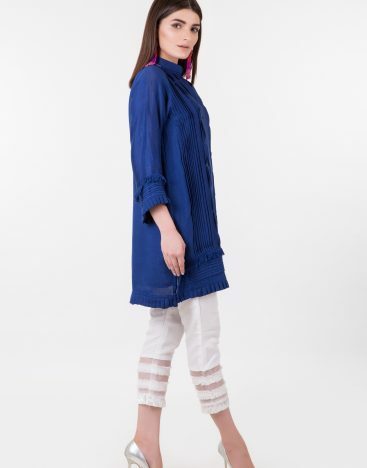 Trendy Long Laced Front Open Tunic in Navy Color. 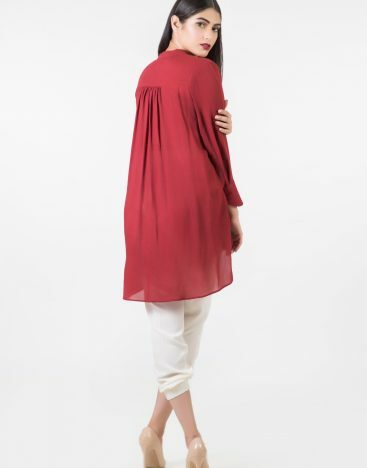 Trendy Long Laced Front Open Tunic in Ruby Red Color. Navy Blue Color Crepe Pleated Front Open with Assorted Broaches. 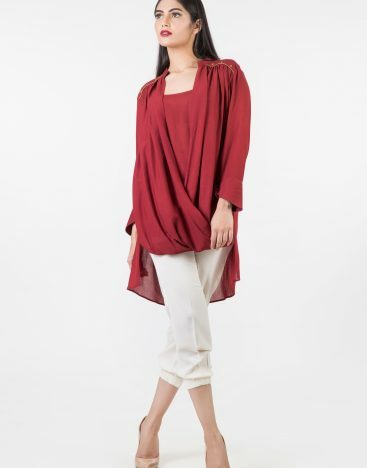 Ruby Red Color Linen Pleated Front Open with Assorted Broaches. 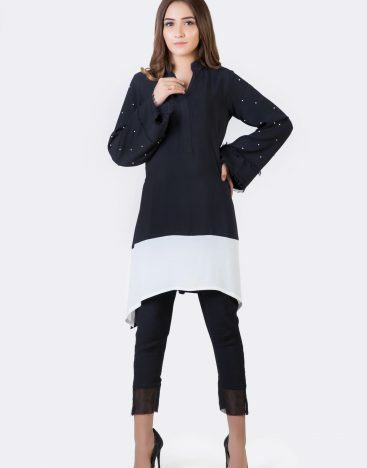 Black & White Color Block in Crepe, Scatter of Pearls on Sleeves. Crepe Shredded Pattern with Lace Insert Border. 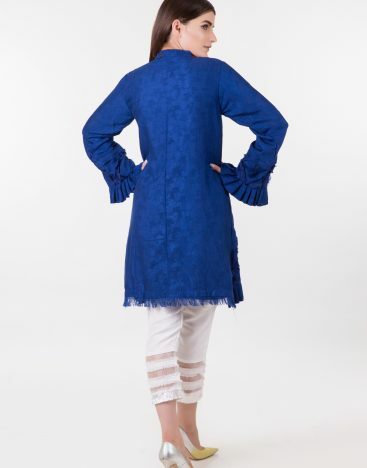 Resham French Knot Embroidered Sleeves ti Turquoise. Detailed Neckline in Gold Stud. Chiffon Front Pleats with Pearl Loop Buttons, Detailed in Lace Insert. Self Embossed Cotton Shirt with Textured Panels and Diamante Motif. Mint Crepe with Blue Embroidered Roses, Lace Inserts in Sleeve with a Ruffled Organza neckline.